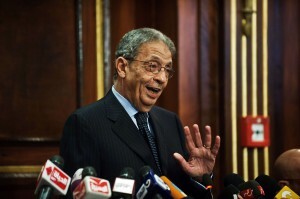 The Egyptian Engineers Assembly will boycott the syndicate elections scheduled in April, the organisation announced Monday. In a statement, the assembly vowed “to legally defend all the gains of the syndicate,” and abstain from supporting any candidates during the upcoming elections. The assembly claimed that police forces had halted buses shuttling engineers from other governorates to polling stations in Cairo, and barred them from voting on a referendum regarding the vote out of the syndicate’s elected board. The assembly said a majority of the engineers boycotted, and that the counting of the votes happened privately. 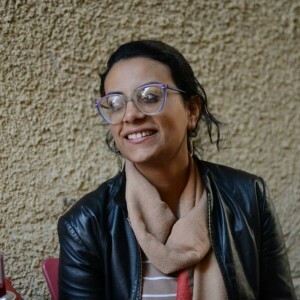 Sabry Amer, the deputy secretary general of the syndicate’s former board, said, however, that the buses were only stopped temporarily and then were allowed to reach the polling station. “The assembly made a mistake when they participated in the voting,” Amer said. He was among those who attended and witnessed the vote counting, which he said may have been conducted improperly. Among infractions Amer cited were the “collective” announcement of results and voters’ ability to vote multiple times given the lack of signature requirement after voting. 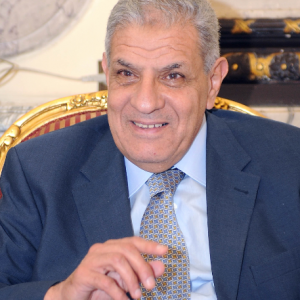 Several committees assigned by the Minister of Agriculture dissolved the main committees of the Engineers’ Syndicate in Cairo, as well as subcommittees in the governorates. 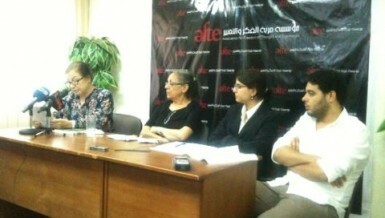 Amer said the assigned committee illegally fired syndicate employees and announced vacancies in the press. He described the move as an act of “thuggery”. “Even if we believed the elections had been done correctly, the subcommittees in the governorates should not have been dissolved,” Amer said. 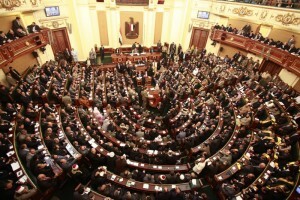 Members of the syndicate voted to depose the main board in Cairo, including the group’s head, but did not agree to shut down the subcommittees. 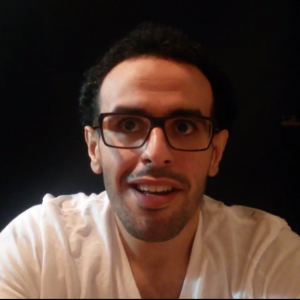 Hussien Ghorory, spokesman of Marsad (Observatory for Syndicates’ Independence), a member of the Engineers’ Syndicate, said there is a legal dispute about the matter, however there are no laws that directly discuss the legal situation after a syndicate’s board is voted out. The Egyptian Engineers Assembly was formed before the Engineers’ Syndicate’s first election after the 25 January Revolution. The assembly is widely believed to be affiliated with the Muslim Brotherhood; however Amer contested this label. He said the candidate list contains “50-50” Muslim Brotherhood engineers and other independent engineers. In January, the Engineers’ Syndicate witnessed a referendum that was marred with legal controversy that resulted in a vote of no confidence the syndicate’s board and its Muslim Brotherhood affiliated leader Maged Khelousy. The vote was believed to be politically motivated, following the exclusion of the Muslim Brotherhood members from public life, especially after the cabinet on 25 December labeled them a terrorist organisation and confiscated their assets.